My husband was in South Africa some months for work. He loved it there. We plan on visiting together hopefully soon. Thank you so much Naretha. I’m so happy you and your hubby loved it! Now feta mash is different and it sounds delicious! I must try it. 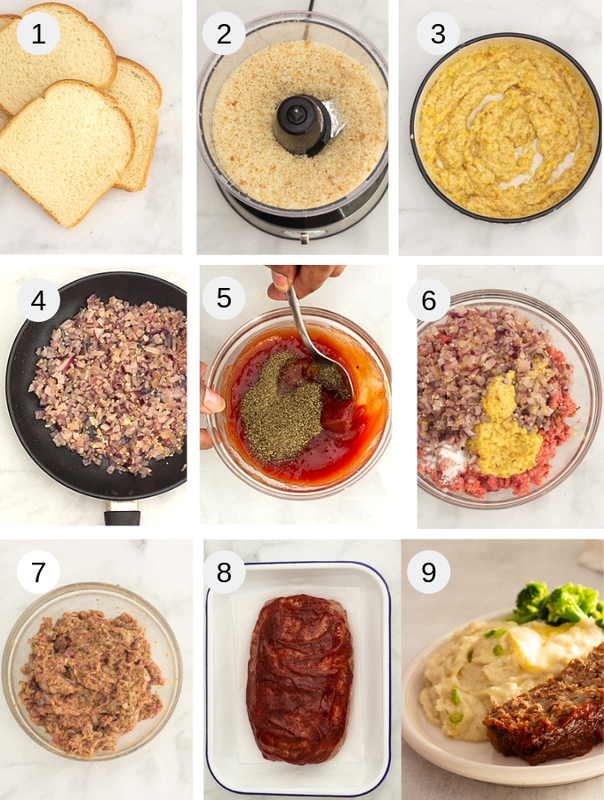 My family loves a good meatloaf recipe. We always use my mom’s but I think we need to try this one next! 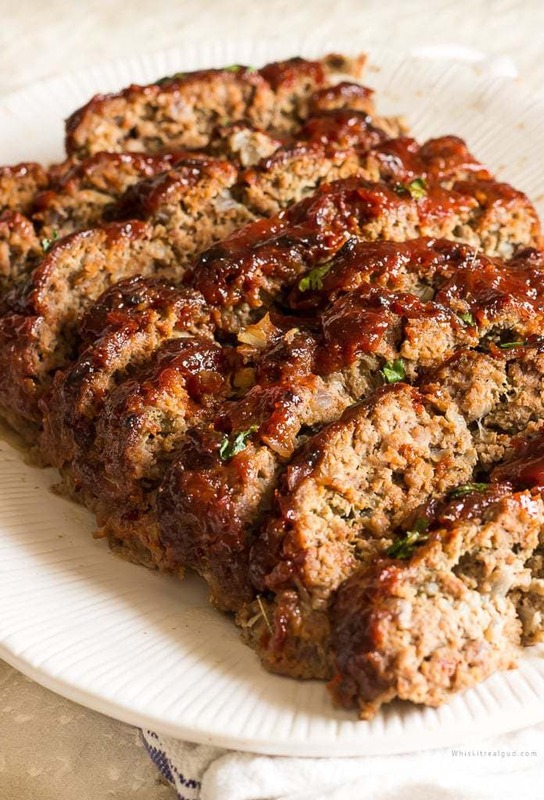 That is the best looking meatloaf EVER! Your photos are gorgeous. Can’t wait to try this – pinning! I am so with you on being able to eat a whole meatloaf myself. This one looks so yummy-I cannot wait to try this recipe out for myself. Love this recipe. I make mine in a glazed clay cooker with lid and it makes the whole putter part crispy but keeps the inside moist with no aluminum issues and easy clean up. Thanks for the recipe! You’re welcome and thanks for trying it out Dana :)! Happy you enjoyed it! About that clay cooker. I never used one before but it sure does sound interesting! I’ll have to check it out. Thanks! Perfect recipe! Thank you for sharing how to make this, it was wonderful. 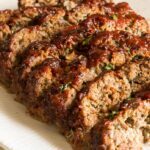 My hubby loves meatloaf! I’m definitely going to try this recipe out for him! 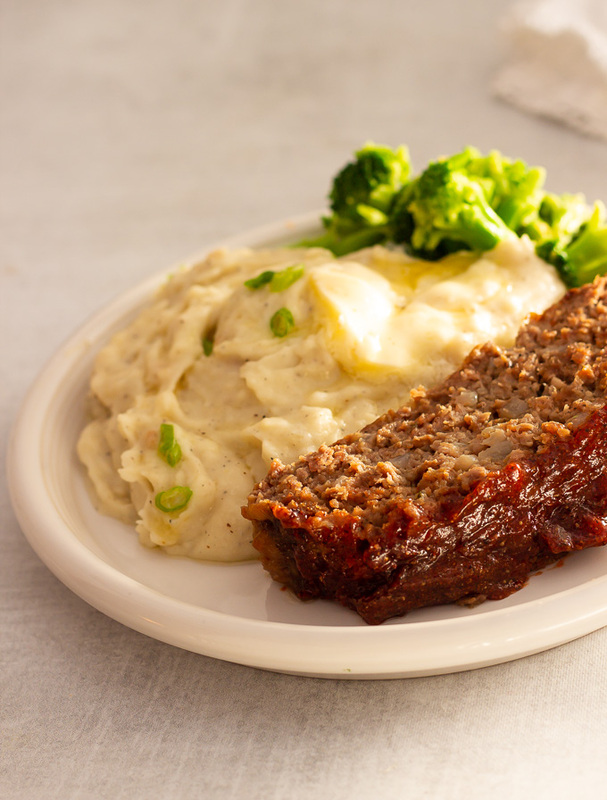 There’s something great about a classic dinner like meatloaf, that just makes you feel all warm and cozy inside. Can’t wait to try this at home. I love good classic meals! I hope you enjoy it Calleigh! That does look really tasty. I’m not a huge fan of meatloaf but my dad is so I’ll have to use this recipe next time I make it for him. Thanks Luci! Hope your dad likes it! Yes some time I too struggle to get picture some time natural light is gone by that time I plate it. Or some glare or something else. I can see what you are talking about . You are right taste is most important thing. 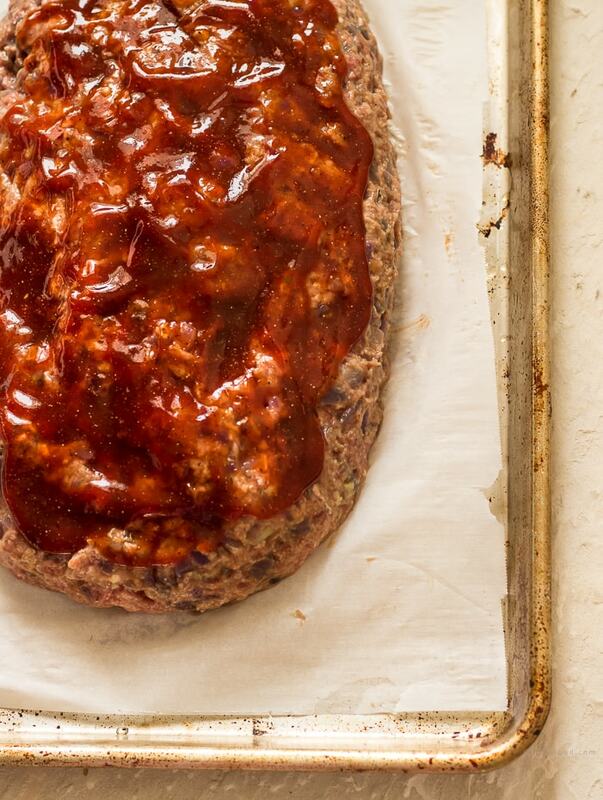 You made perfect meat loaf that is juicy and yum. Thank you so much Molly! Your family will love it! I love a really good meatloaf! One that isn’t something that my momma made growing up! This looks perfect. It’s only been since my taste has matured that I can appreciate meatloaf. To me it was always okay — but nothing to brag about. My mamma didn’t make it, we had meatballs. So my meatloaf experience was from school. But later when I started making my own I grew to appreciate it. You’re right it’s all in the seasoning. It’s funny how our taste in food changes the older we get.. I was such a picky eater when I was a kid but now I want to eat everything!